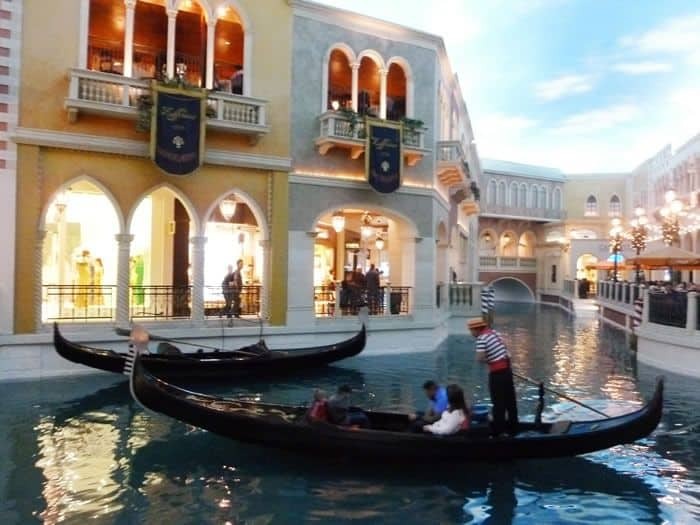 The Venetian Gondola Ride is about as close as most Americans will come to the Venice canal, without traveling to Italy. 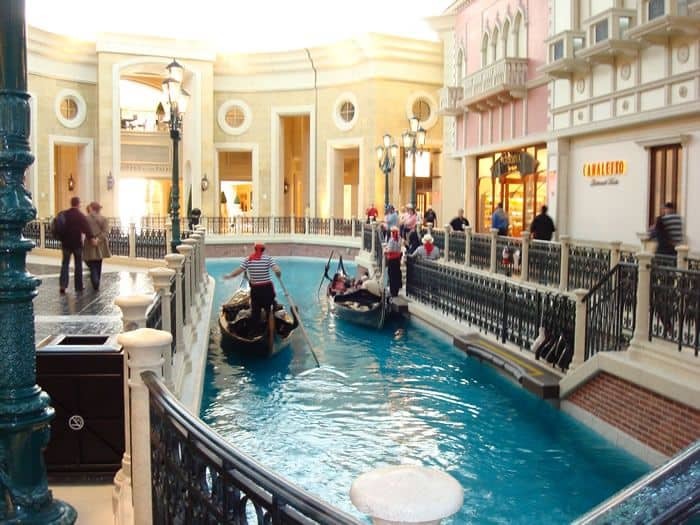 This guide will tell you everything you need to know about the Gondola Ride at the Venetian in Las Vegas. 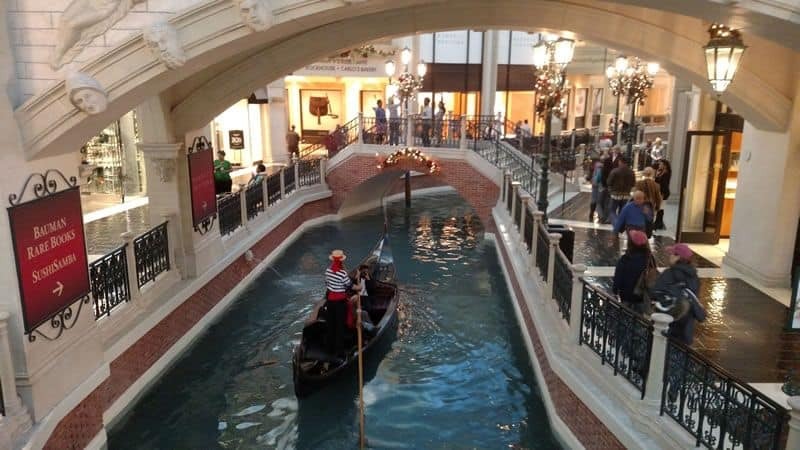 There are two options for the Venetian boat ride – indoors or outdoors. 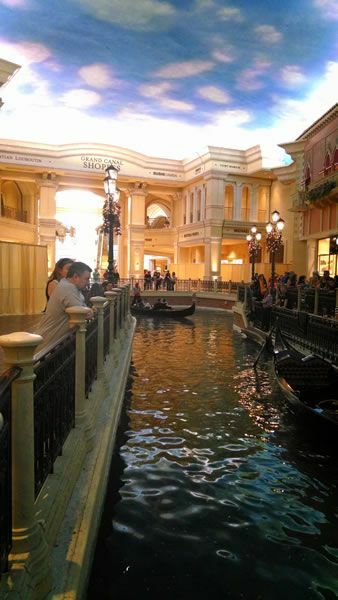 Regardless of which one you choose, the gondolas, price and ride time are the same. Each gondola seats four people, and they are comfortable and intricate in their design. Each ride is about 10 minutes long and takes you through the canal and under bridges. 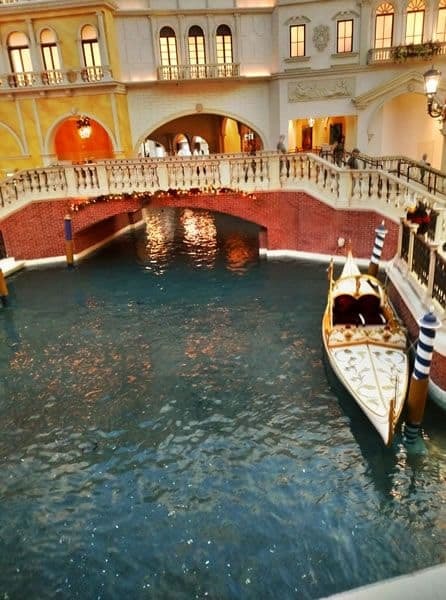 Most people choose to go to the inside gondolas because regardless of the weather, the Canal Shoppes, restaurants, and St. Mark’s Square all replicate a romantic dimmed-light feel with a blue sky mural above you. Besides the ambiance, there are more bridges to go under inside. 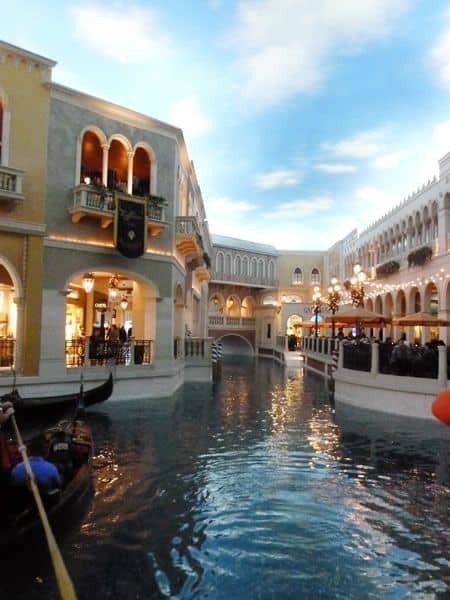 But, if the weather is great, you may want to try the outside gondolas at night. Although you definitely know you’re in Vegas, it is a beautiful ride. 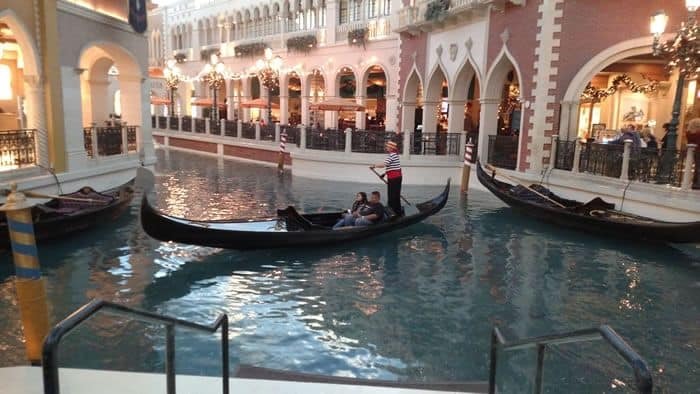 Your experience on the Gondola ride depends mostly on your gondolier. Some of the good ones are from Italy, are amazing singers, share interesting facts about Venice, and tell funny stories. They encourage kissing under the bridges and make the ride one you won’t forget. You do occasionally get a bad gondolier who says nothing, sings the obligatory one song and brings you back unimpressed. It costs $29 per person to ride the gondolas, which holds 4 people. If you want a gondola for just the two of you, it will cost you $116. That’s a lot of money for 10 minutes, so check out our gondola ride coupons for the best deal. Photo packages start at $22. 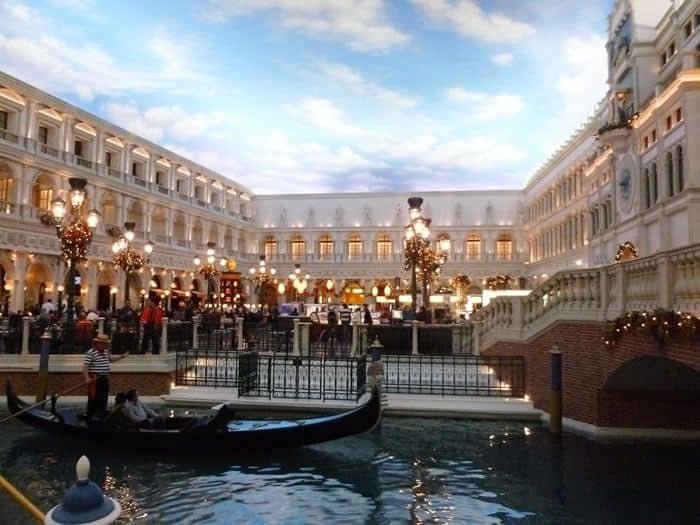 2 Free Gondola Rides, 2 free single scoops at Zia Gelato with no nightly minimum stay at Venetian, plus free view upgrade. Valid for stays now through 11/30/18. 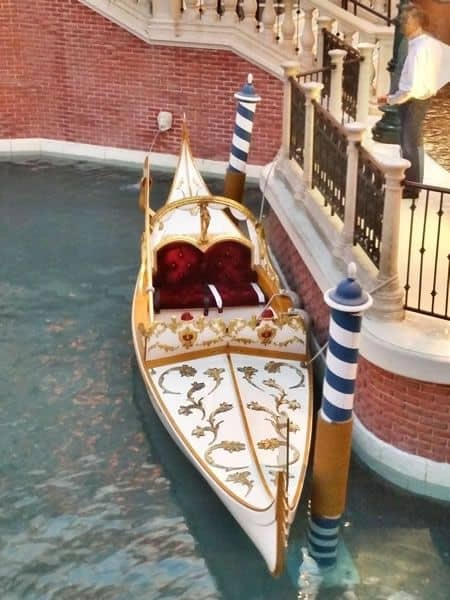 *Last Gondola leaves the dock 15 minutes prior to closing. The Outdoor Ride operates on a seasonal and Weather permitting basis. 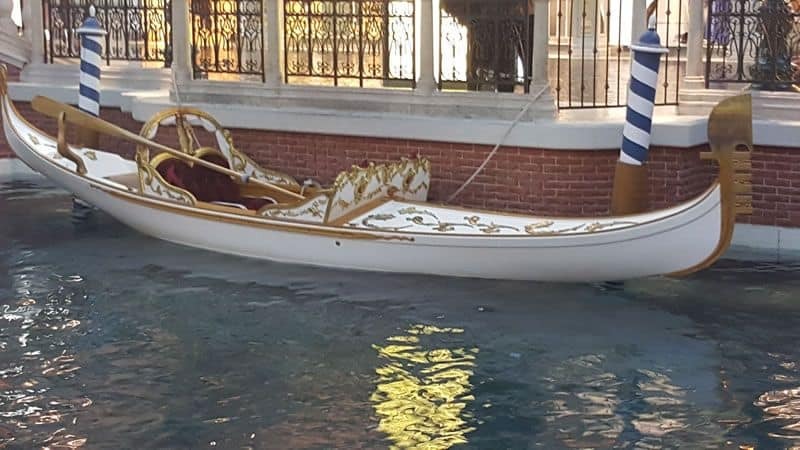 Venetian and The palazzo Las Vegas are celebrating Venice with a new seasonal display that features one of the world’s oldest Venetian gondolas. See this historic gondola built in 1850 that is 36 feet long and 5 feet wide. I’ve booked A2 night stay at the Venetian but not directly through the hotel can I still use the coupon code? Unfortunately, you’ll need to use the coupon codes at the time of the booking either on the phone or online to get the credit. Is there a discount for Nevada residents? 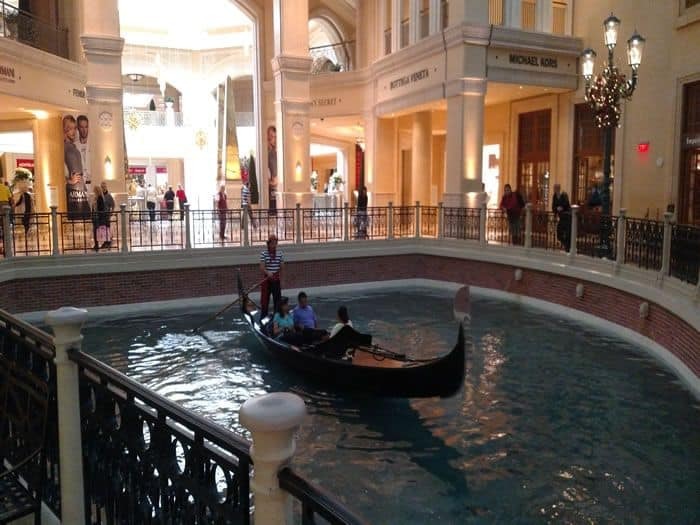 No, there is no Nevada resident discounts for the Venetian gondolas. They just raised their rates recently so check out those updated prices. Reservations can only be made in person even if we pay ahead of time with our card to ensure that we will have that spot? Yes, unfortunately they won’t take reservations in advance. They only make exceptions in the case of weddings held at the Venetian. Can I reserve a ticket for the gondola ride ahead of time? My family is going there next month. Yes, reservations can be made in advance but they must be made in person. 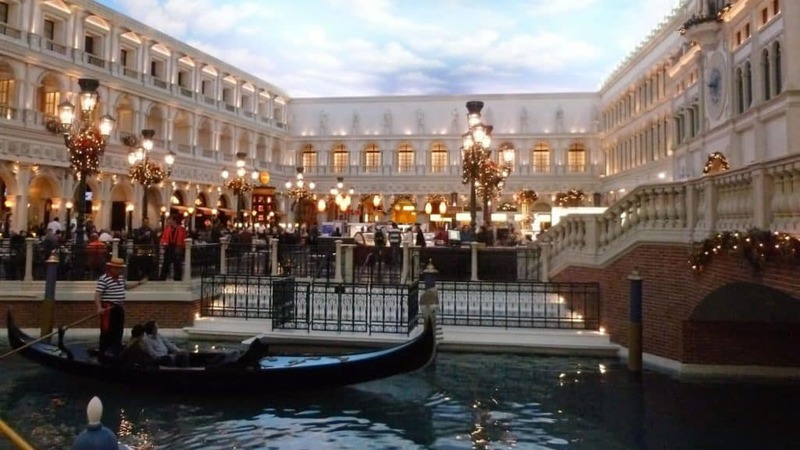 Yes, there is a $150 resort credit with a 2 night stay at the Venetian. Coupon code is OEVCRT. I’ve updated this page if you’d like the link to the new offer. Valid through 12/24/16.